Stunning champagne lace overlay with scalloped edging and puddle train. 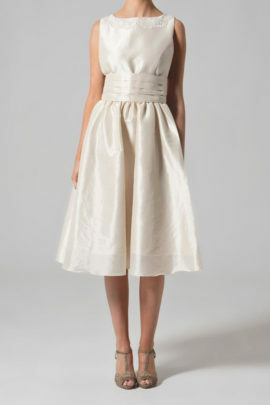 A delicate organza ribbon highlights the waist with an ivory satin bias cut underdress. A stunning cappuccino bridal gown. The antique gold hue creates a strong vintage vibe and is a very flattering colour for all skin tones. Heavily beaded embroidered flowers are stitched onto a delicate net and all lines are finished with a beautifully detailed and heavily embroidered scalloped edge. 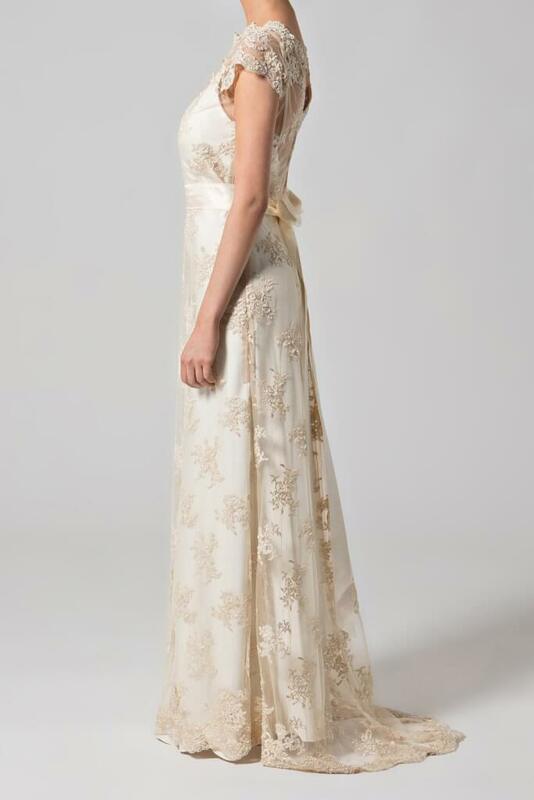 A satin slip cut on the bias with spaghetti straps sits under the lace overlay. 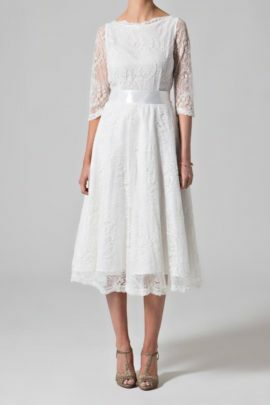 Fitted elegantly to the body it provides an understated backdrop to the spectacular lace. The small puddle lace train is inserted into the fabric through a godet which adds a lovely detail to the back of the gown. This is a fairy tale wedding dress and a satin and organza ribbon tied into a bow at the back adds to the romantic ambiance.